Featured Partner: Chocolate Shoppe Ice Cream Co. If you’ve spent any length of time in Madison, you’ve undoubtedly found your way to Chocolate Shoppe Ice Cream Co. to savor one (or more!) of their 100 flavors of Madison-made ice cream. This family-run business started in 1962 making candy and ice cream, but today focuses primarily on ice cream and has expanded to five different retail locations throughout Greater Madison. © Chocolate Shoppe Ice Cream Co.
Chocolate Shoppe Ice Cream Co. stores are open seven days a week. Learn more about their locations and hours. 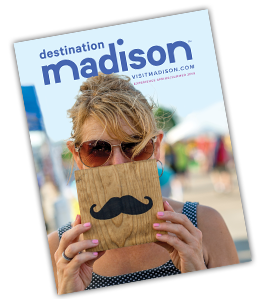 In December 2015, the Greater Madison Convention and Visitors Bureau launched a redesigned Visit Madison web site. A responsive design, interactive widgets and industry-specific integrations were part of a package designed to help visitors explore our destination offerings the way they want. But behind the scenes, we were developing something even more valuable: a digital content strategy. SEO. When a brand regularly publishes unique content that is high-quality, shareable and unduplicated, it has a significant impact on search engine ranking. We want to be at the top when someone types “Scenic biking and hiking trails in Madison” into Google. And so far, we are. When we create original articles like Top 10 Trails to Try—And Why, it makes us relevant and ranks our expertise in an even more valuable way. URLs. As a best practice, you’d give that “Top 10 Trails” article its own URL within the main body of your web site. The next step is to drive to that page with posts from your social media channels. Now, readers can easily engage with your content by liking, commenting and sharing. ATS. Average Time on Site is one of several ways to measure engagement on your web site. Once readers are engaged in a topic, linking them to a related article, helpful trail maps or even a general Biking and Hiking page will keep them engaged and leave an impression about your destination. 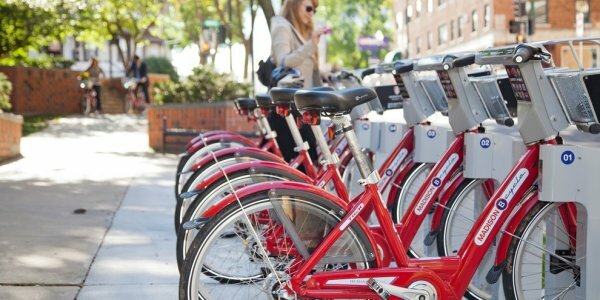 Original content is being created for the Visit Madison site monthly, and in May we highlighted Best Places to Brunch, Summer Sips recipes from Madison mixologists, places to enjoy the Arts Alfresco, getting active from Lake to Lake, and even a behind-the-scenes Lion King Lookbook. Look for an all-new round of articles starting next week! Our goal is to rotate in seasonally relevant partner businesses throughout the year, and we look forward to learning more about what’s new with you so we can continue to share all that’s exciting in our destination. Got ideas? 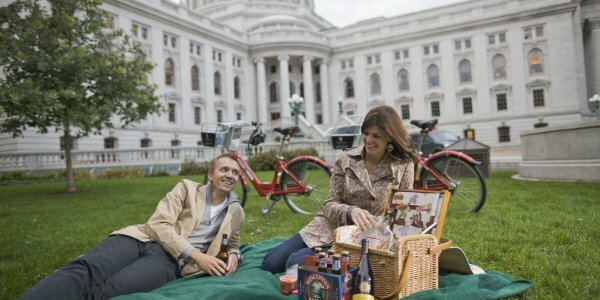 Share them via partnership@visitmadison.com. Come and experience an ongoing celebration of exceptional food and wine. Enjoy the finest aged prime beef and 100 wines by the glass in a lively, stylish atmosphere. The Gordon Flesch Company is celebrating a stunning 60 years in Madison! Many businesses in our area rely on this company for its expertise in supplies and support of digital office equipment. The Clarion Suites at the Alliant Energy Center has been hoteling guests for 15 years in Madison! This all-suite hotel features extended stay suites with separate kitchen, living and sleeping spaces. Comfort Inn & Suites is celebrating a decade in DeForest. This hotel features the North Star Conference Center, one of the area’s largest hotel conference centers, plus 79 guest rooms. 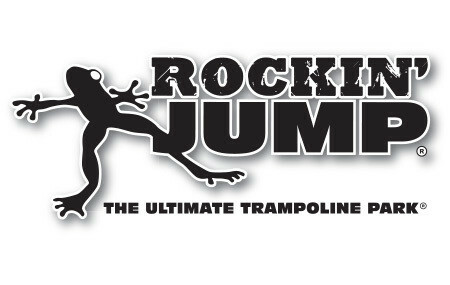 It’s already been 1 year since Rockin’ Jump Trampoline Park opened its doors in our destination. This facility features 30,000+ square feet of jumping space, a climbing wall, trampoline dodge ball, and more.